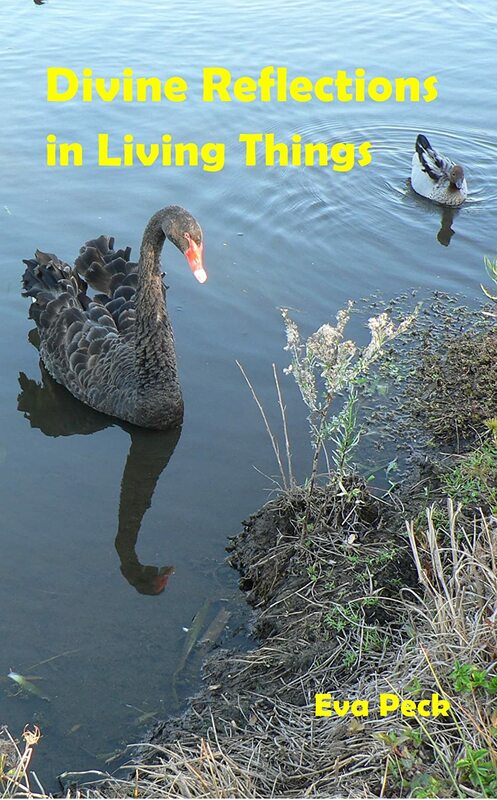 Divine Reflections in Living Things looks at living organisms among both plants and animals and reflects on the glimpses of the divine in these realms. Most of my insights and conclusions are backed up by biblical references. Keep writing and hold onto your dream. Persevere and one day you will have the thrill of holding your own book in your hands. Don’t be discouraged if it only goes to family and friends — either way, it is an accomplishment and may be a start to a writing career. Love of nature and keen interest in spirituality. I presently live in Australia and am both a self-published and traditionally published author of several books (for a complete listing, see https://www.goodreads.com/author/list/6606713.Eva_Peck). In the past, my husband and I had four educational books, aimed to help students of English, published by traditional publishers – at that time in Europe. For a few years now, I have been focusing on spirituality books, which I have chosen to self-publish. One of my favorite themes is nature and spirituality. Having enjoyed nature from early childhood, I have been able to later combine my love and knowledge of nature with spiritual insights. I believe that nature points us to God and reflects divine realities. This is the subject of my trilogy Divine Reflections. Divine Reflections in Living Things reminds us all of the beauty and spirituality that exists in every living thing. Author Eva Peck reflects on the conception, pregnancy and birth of human beings. Her description of the miracle that is the creation of life is both profound and inspiring. Peck also reflects upon the life of cats, pigeons, frogs, butterflies, penguins, date palm, pond flowers, and cherry tomatoes. From these living beings Peck draws parallels and insights to spirituality. This is a thought-provoking, mind opening and inspiring appreciation of life. I highly recommend it!